If you had come to me a year ago and said, "in a year you will feel like a completely different person" I would have told you that things like that don't happen. People don't change that much that quickly. I would have said you're exaggerating and maybe even called you melodramatic. How naive I would have been. The fact of the matter is, it's not about how quickly things happen or your level of preparedness. It's not about how you deal with stress or tragedy or loss that changes you. It's simply about missing pieces or grasping for hope. It's about fear, anger, and pain... and what comes with them. It's taken me a year to learn that major difficult times don't have to define you, but they do have to change you. There's no getting around it. 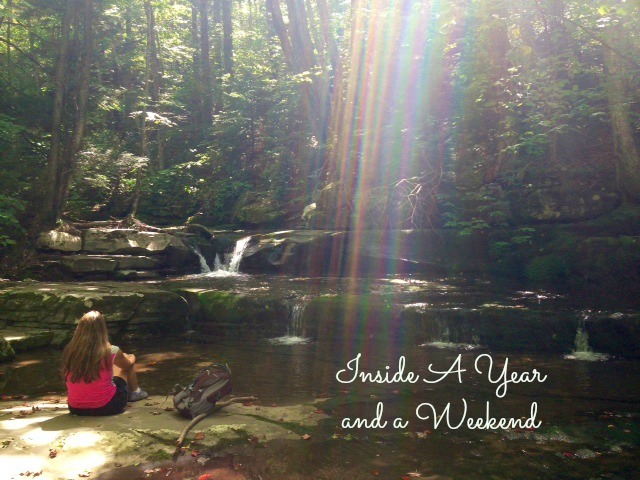 One of my all time favorite posts on this blog is titled "The In Betweens". I wrote it at a point where I needed to see what was right in front of me. I needed to outline in words what I knew in my heart I was already grateful for. I needed to see in between the muck of things in that moment and pick out the best parts and hold onto them for the betterment of the next day. I thought about this idea of things that hide in between the times that are hard for four days straight this past weekend...a weekend that marked the one year anniversary of the death of my dad. In between feeling sorry for myself and self medicating I found out what it really means to walk through life seeing every person as you would want them to see you. You never know what happened that day, that week, or that year. Be the smile they might need even though their behavior may say otherwise. In between trying to "handle it" myself and trying to be a parent and wife I learned that my marriage is capable of withstanding whatever else this life has to dish out. I also learned that from this day forward I can only pray that I will be half the support for Seth that he has been for me. In between being soothed by my two year old as I cried and conversing with my four year old about heaven I learned that those who go before us really do live on in those they leave behind. Most of all, in between prayers for closure and prayers for help I learned that help is all around and closure will never be enough anyway. I thought this weekend would be so easy to explain. I thought I would just detail it's brilliance and be on my way. Suddenly, I'm sort of at a loss. Sometimes perfect things happen and you have to just ride the wave and say thank you. Sara and I started planning a trip together months ago. But life got in the way and the actual planning really began about two weeks ago. 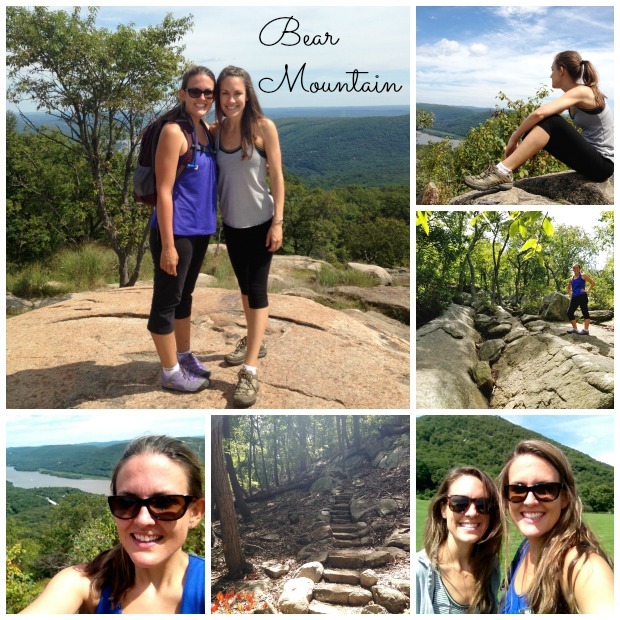 We slapped together a road trip of sorts and tried to pretend like we had our act together. While I did make maps like crazy and tried to nail down details, I did a fairly decent job of letting go. The planned parts meshed with the unplanned like a beautiful little puzzle. We accomplished our goal of getting out and doing things like biking through fields of art and getting lost on a mountain. 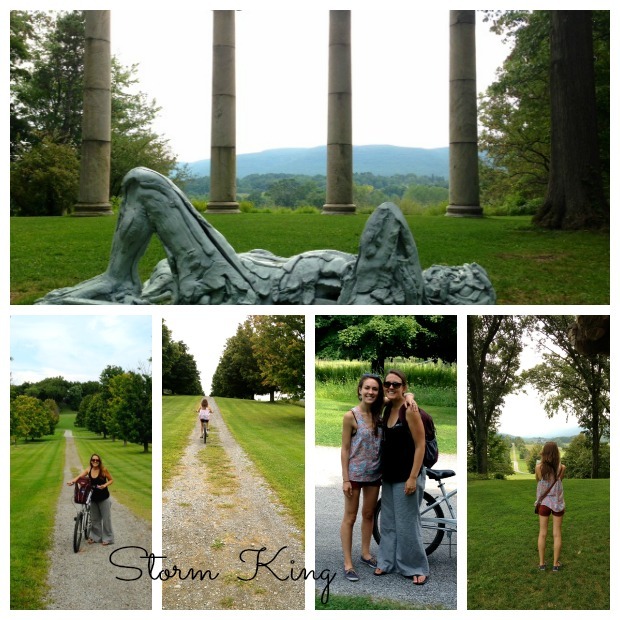 If you are ever in the Hudson Valley I cannot recommend Storm King and Bear Mountain enough. As we were doing these things, or really even before, it became clear that dad decided to show up on this trip. Or maybe he was just guiding the way. His presence was gloriously unavoidable and it made us smile over and over again. We rented a car. Upon picking up the car we ended up with a little black Toyota Carolla. Dad drove a teeny tiny Carolla to and from Cartier at Lenox Mall for years. I then drove it all over creation and all through college. Sara drove it for a short period of time until it was finally sold for next to nothing. I'm pretty sure dad got a good laugh out of that being the car we were given. Then we made the trip north to the Catskills to stay on a farm owned by Sara's boss. Dad grew up on a peach farm in south Georgia. Walking onto this farm in a place so far from south Georgia felt oddly like we were in the perfect place at the perfect moment. This is when I learned something far less intense and emotional. I learned what people mean when they say, "it felt like something out of a movie". We ate food prepared by a one of a kind cook, Sara's boss, and drank wine with strangers while Ray Charles played in the background. We talked about everything from religion to farming. I sang James Taylor's "Fire and Rain" with a man who prides himself on his Vinyl collection. We listened to two teenage aspiring musicians record music in the barn. Another visitor to the farm weaved a rug on an antique loom she found in that same barn and had reassembled just the day before. We hiked again to a small waterfall near the farm that reminded me so much of where we used to go camping as kids. We saw a million stars, ate s'mores, and fell asleep in antique beds covered in handmade quilts. Seriously, I can't make this stuff up. 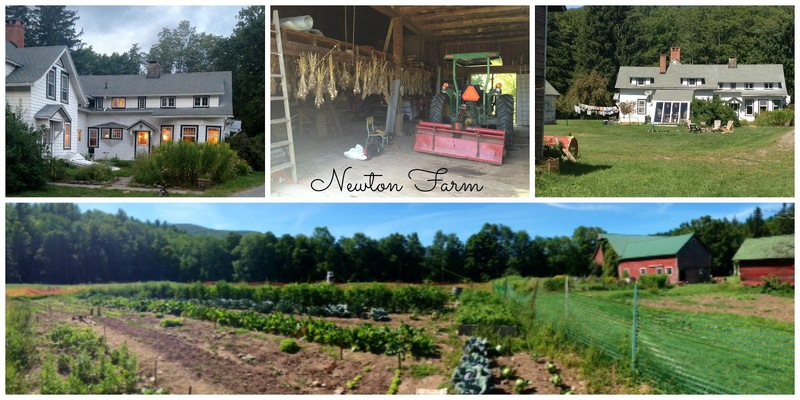 I think in different ways Sara and I both realized that there is a farm in our hearts that is meant for us to own or live on someday. Maybe together, maybe apart...but it's there. We were both so at peace and if you know anything about either of us you know that's sort of a big deal. Generous people have always come in and out of my life at various times, and always at times when they seemed most needed. I couldn't tell you a whole lot about the crew we spent the weekend with. It was just one of those things where everyone came to the same place to relax and get away. It didn't seem necessary to discuss what everyone was getting away from. That was refreshing. I didn't have to live in the grief on a weekend when I normally would have felt surrounded by it. Finally, we ate a big breakfast with the people of the tiny town of West Kill, NY and were on our way. We ended the weekend with a night of sushi, dad's favorite, in Bushwick near Sara's place before I headed back early Monday morning. Only half planning a trip can be the very best way to travel...and the very best way to be distracted, really get away, and let go. Your dad was there, no doubt, every step of the way. "Meant to be" has never rung more true than in the weekend you had with Sara and your dad. The peace you two came away with, with his guidance, will give peace to everyone who reads this post, including me. I love you so much, Jana. Don't ever stop writing. This one is my favorite for so many reasons. 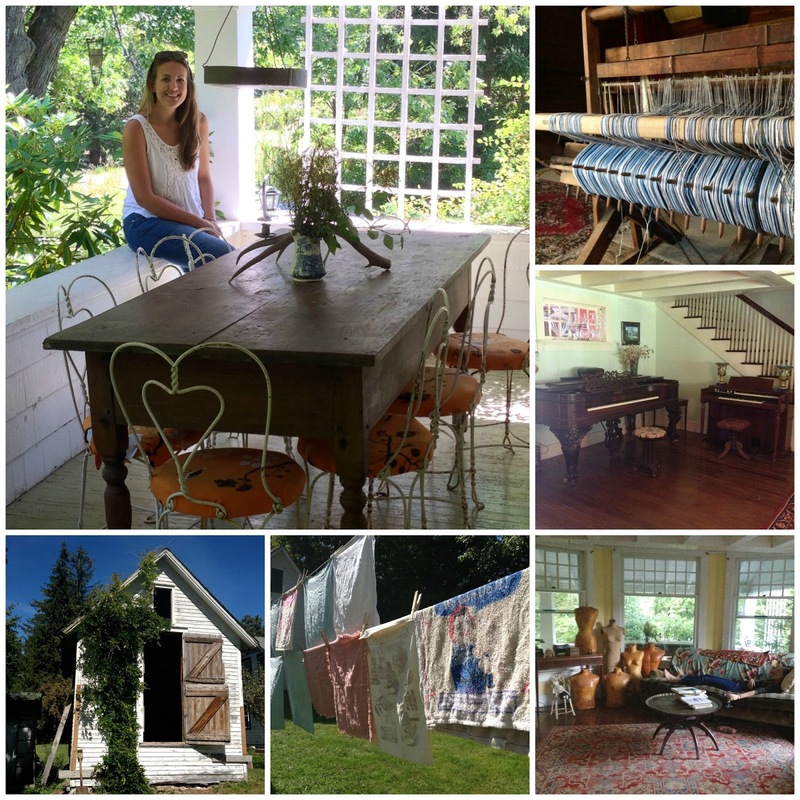 Jana - such a lovely post. I'm so glad you enjoyed your trip with your sister. The lesson of - they do have to change you resonates with me. Fighting that changes just makes the hard harder. This is great! Glad you had such a great time with your sister. Couldn't have done it in a more beautiful place either!